Jamaica is one of the most beautiful Caribbean islands, attracting thousands of visitors each year. Lots of people who go to Jamaica tend to fall in love with the spicy jerk chicken as soon as they try it. 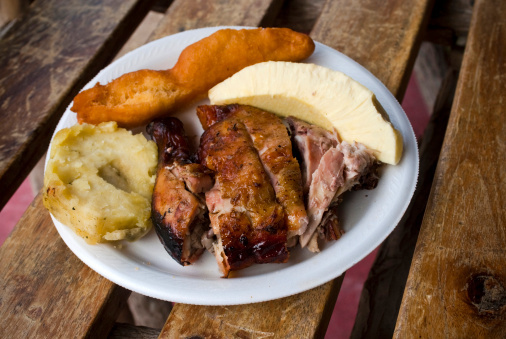 The Jamaican jerk chicken is quite commonly eaten in the island as it is its specialty. First of all, you need to cut the whole chicken into four quarters. Already quartered chicken is also available on grocery shops, so you can buy that if you want to. Wash the four quarters of chicken in white vinegar or lime juice. Having rinsed the chicken nicely, you need to rub seasoning salt over it. In order to make sure that it is evenly rubbed, you will have to use your hands; therefore, you must wash your hands thoroughly before this step in order to avoid transferring any germs. You may place the chicken quarters in a baking or casserole dish. In a blender, you need to put sugar, cinnamon, yellow onions, garlic, allspice and peppers. Blend this jerk mixture nicely. You can now cover the chicken quarters with the jerk mixer before allowing it to marinate for a minimum of half an hour in the refrigerator. If you want grilled jerk chicken, you may light the barbecue. The chicken needs to be cooked for about 60 minutes in the oven or the barbeque at 180 degrees all the way through. After 60 minutes, your chicken should be properly cooked. You may remove it from the oven and serve. 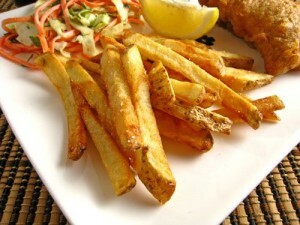 Order some french fries along with Jamaican jerk chicken in order to enhance your eating experience.